The formal education equivalent of a bachelor’s degree in education, biology, zoology, natural science, business administration, or a related field; plus four years of experience in wildlife management or a related field, including one year in a supervisory capacity. Additional requirements determined by the agency for recruiting purposes require review and approval by the Human Resources Chief. The formal education equivalent of a master’s degree in biology, zoology, natural science, wildlife management, or a related field; with seven years of natural resource management experience, including three years of experience in a supervisory capacity. Experience supervising a large diverse staff of professional, technical, and administrative personnel is preferred. Knowledge of the principles and practices of organizational management. Knowledge of state and federal laws, rules and regulations governing environmental protection, endangered species, or use of federal funds. Knowledge of the theories, principles, techniques, and strategies of fish and/or wildlife management, education and/or educational curriculum. Ability to plan work unit objectives and operational activities and to assign and direct the work of subordinate supervisors. Ability to participate in and lead groups in problem solving activities. Ability to develop monitoring systems for projects and/or programs to measure successes, failures, and develop solutions to problems. 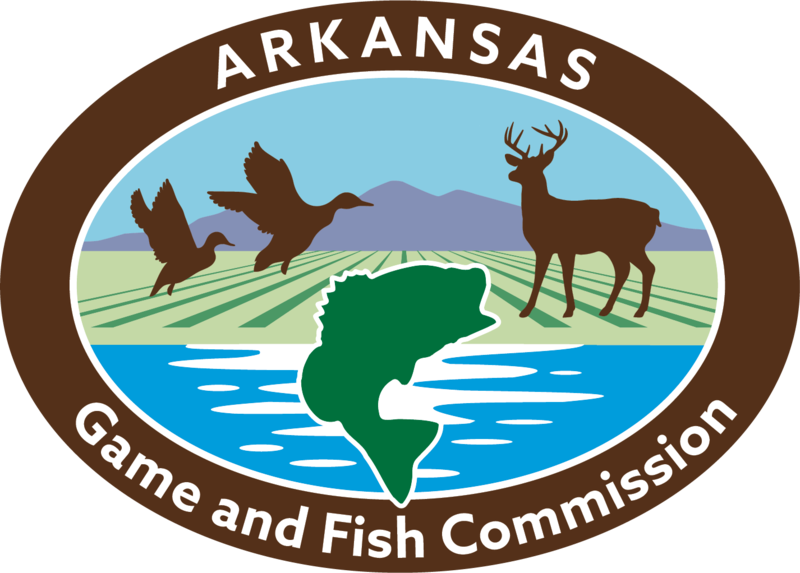 The Arkansas Game and Fish Commission (AGFC) Division Assistant Chief is responsible for overseeing division operations. This position is governed by state and federal laws and agency policy. Directs the activities of a medium to large-sized professional and technical staff through lower-level supervisors, including approving hire recommendations, reviewing performance evaluations, evaluating the performance of immediate subordinates, and reviewing and approving/disapproving a variety of recommendations of subordinates. Resolves problems referred by field personnel in areas such as program development, employee relations, scheduling, management techniques, public information, and strategic planning. Evaluates and determines the progress of projects and programs through field inspections and compiles reports with recommendations for the review of division chiefs. Identifies problem areas and monitors the progress of projects and programs through field inspections and compiles reports with recommendations for the review of division chiefs. Reviews and approves division bills, invoices, and activity reports and may request further explanation of actions and purchases. Compiles data as requested for special projects or programs such as program performance and expenditure reduction and recommends courses of action as indicated from analysis of data. Functions as an Assistant Chief of the Wildlife Management Division (WMD). Will supervise WMD Regions 4 and 5 as well as the Private Lands, Quail, Turkey, Small Game, and Feral Hog programs. Provides general guidance and direction to the Management and Programs Section professional, technical and administrative staff. Works closely and effectively with the Chief and other Assistant Chiefs in formulating and implementing programs and actions designed to accomplish Division and Agency goals. Works effectively with Agency personnel in all Divisions, professional contacts and interagency partners to maximize the effectiveness of Division activities in achieving objectives. Responsible for promoting the appropriate professional development and continuing education of Programs and Management Section staff. Coordinates the development of annual work plans and budgets for the Division's activities. Responsible for keeping current on wildlife and habitat management principles, practices, and issues of importance to the State through appropriate use of current professional literature, continuing educational opportunities, and cultivation and maintenance of professional contacts and partnerships. Establishes and maintains good relations with the general public as called upon through appropriate conduct of daily duties and regular contacts with organized conservation and wildlife-oriented recreational groups, community and civic groups, etc. Directs the activities of a medium to large-sized professional and technical staff through lower-level supervisors, including approval of personnel hiring recommendations, reviewing performance evaluations, evaluating the performance of immediate subordinates, and reviewing and approving/disapproving a variety of recommendations of subordinates. Resolves problems referred by field personnel in areas such as program development, employee relations, scheduling, management techniques, public information, and strategic planning. Evaluates and determines the progress of projects and programs through field inspections and compiles reports with recommendations for the review of division chiefs. Identifies problem areas and recommends improvements or solutions for the review of the Division Chief. Reviews and approves division contracts, invoices, and activity reports and may request further explanation of actions and purchases. Compiles data as requested for special projects or programs such as program performance and expenditures and recommends courses of action as indicated from analysis of data. Performs other duties as assigned. Must possess a valid Arkansas driver’s license. Regular in-state travel and occasional work other than normal office hours are required.